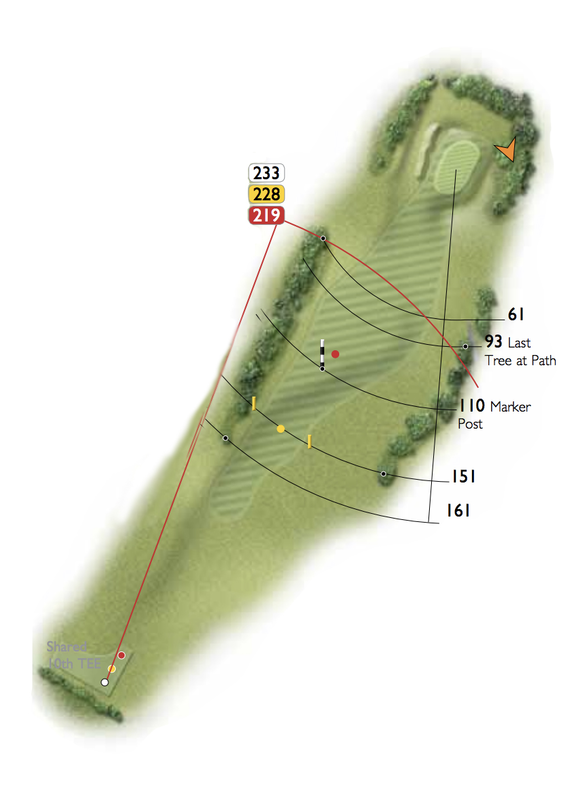 A short par 4 and the tee shot is important. The ideal shot is to the marker post 150 yards away, avoiding the trees on the left and not running down the steep slope to the right. Once past the marker post it is a straightforward shot to the green.